Scientific research is important, but in sensitive, remote and extreme environs like Antarctica, it is essential to take extra precautions to mitigate any kind of potential environmental damage resulting from such work. With these constraints in mind, Bof Architekten built India's Bharathi Research Station out of 134 recycled shipping containers. 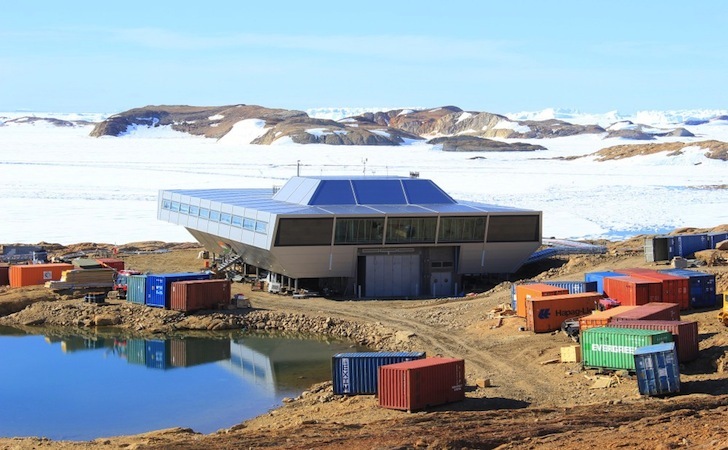 Easy to transport and erect, the shipping containers used to construct the research station in Northeast Antarctica are also easy to disassemble. 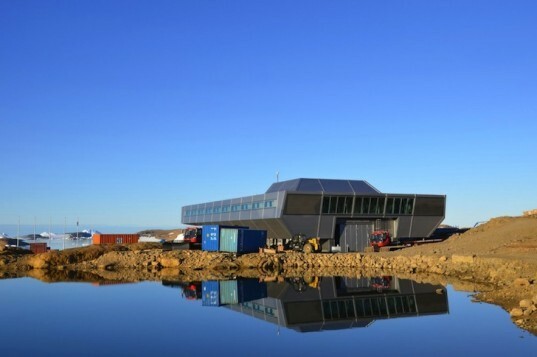 This and self-sufficiency are key aspects of the design that ensure compliance with the terms of the Antarctic Treaty. Compounding the challenge, of course, is the Antarctic’s extreme weather. Entirely self-powered using various renewable sources of energy, the research institute’s recycled shipping containers are clad with an in­su­la­ted, ae­ro­dy­na­mic skin of me­tal pa­nels that ensure a safe and comfortable interior environment throughout the year. The station can accommodate 47 re­se­ar­chers and sci­en­tists during the summer and roughly 24 mem­bers in win­ter. Visit our earlier post to learn more about this intriguing project.